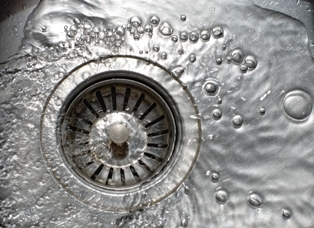 4FastPlumber recently made an announcement concerning tips for installing a garbage disposal in a residential sink. The company stated that when an old garbage disposal is no longer doing the job it should, it is time to have a new one installed. 4FastPlumber went on to state that this can be a DIY (do it yourself) project, though it is a project that many homeowners underestimate. 4FastPlumber stated that one of the first things that homeowners should do when installing a new garbage disposal is make sure that the old drain and all of its pieces have been taken out of the sink, as this allows for a clean slate to work with. 4FastPlumber also stated that the power to the sink should be disconnected before any work is started. If the power is not shut off, there is a risk of electrical shock. 4FastPlumber went on to state that the sink strainer must be removed before any major parts can be mounted. The company stated that, when it is time for mounting to begin, the first step is to place the mounting assembly. 4FastPlumber then stated that the next step is to make sure that all of the screws are tight. The company stated that, after this step is completed, the garbage disposal can then be mounted. 4FastPlumber cautioned that homeowners should remember to connect the waste pipe to the new disposal, as this will allow for the disposal to actually flush waste into the home’s system. 4FastPlumber stated that the final step is to connect the disposal to the power source, as the system cannot work without it. 4FastPlumber stated that, while installing a garbage disposal does require some serious elbow grease, following the steps mentioned above can make it a successful endeavor.